Calorie cycling may just be the thing you need if you’re looking to gain weight. 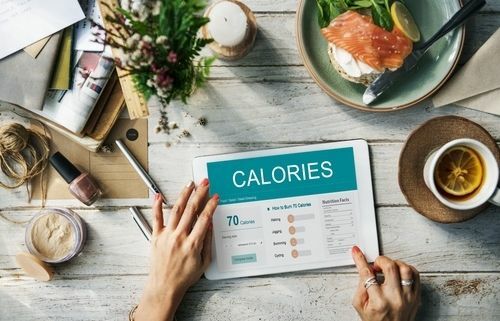 In calorie cycling a person takes the required amount of calories at a higher or lower pace throught the week, thereby keeping the average calorie intake same along with the calorie intake goal for the week. This type of diet is also known as calorie shifting or zigzag dieting. Based on the simple formula of calorie in or calorie out this diet works wonders for weight gain. Let’s see how this works. Suppose that you consume a total of 2600 calories a day or 18,200 calories a week and you weigh 60 kgs. You want to gain an extra pound of each week and for that, you will need 2800 calories extra each week and consume a total of 21,000 weekly. If you consume 400 extra calories each day, you will gain a total of 2800 calories over seven days, gaining you an extra pound of weight. This way you will be consuming 3000 calories a day. But, with calorie cycling, you will be consuming, let’ say 2800 on Monday + 2600 on Tuesday + 3000 on Wednesday + 2900 on Thursday +3200 on Friday + 3000 on Saturday + 3500 on Sunday = 21000 calories over the week. This way you end up gaining 3000 calories in a week with a normal calorie intake of the calories throughout the week. Under calorie cycling, you will need to be disciplined, follow a good diet, and do proper exercise to help the calories burn smoothly. You can also take good mass-gainers like Enduramass to speed up weight-gain effectively. Does Sleeping Cause Weight Gain? How To Prevent Being Underweight?